The RFPX100 PST Penetration Probe is for use with RF wireless monitoring systems. The probe is connected to a 1.0m lead. The RFPX500 PST Penetration Probe is for use with RF wireless monitoring systems. The probe is connected to a 5.0m lead. 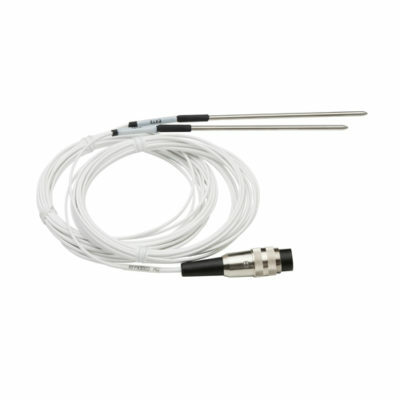 The RFPX100D PST Penetration Probe Duplex is for use with RF wireless monitoring systems. Each probe is connected to a 1.0m lead. The KX8942 Special Probe – 2m Duplex Penetration is intended for use with our RF500 wireless monitoring system. Each probe is connected to a 2.0m lead. 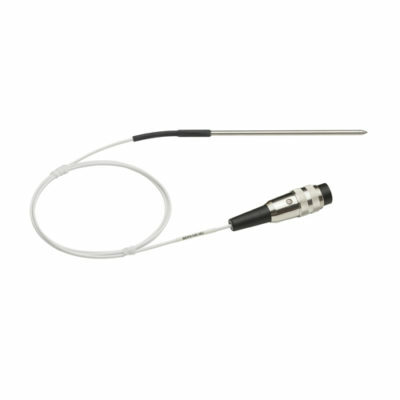 The RFPX1000D PST Penetration Probe Duplex is for use with RF wireless monitoring systems. Each probe is connected to a 10.0m lead. 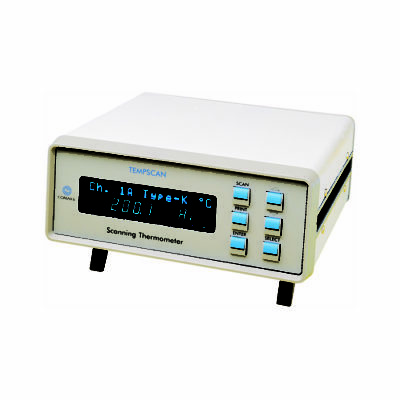 The C8600 Tempscan Modular Precision Thermometer is a bench-top Thermometer System designed to work with various modules. 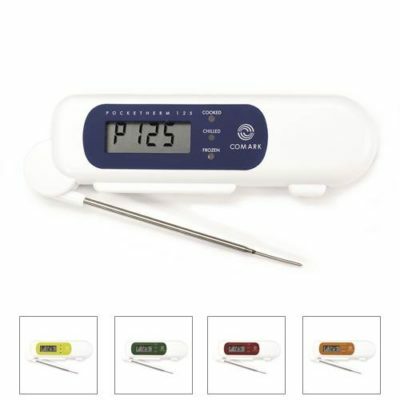 P125 Pocketherm Folding Thermometer from Comark, it’s fast, it folds, it bleeps! 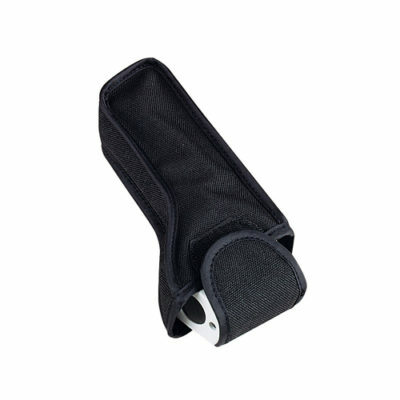 Neat, Pocket Digital for quick checks on frozen, chilled or cooked food. 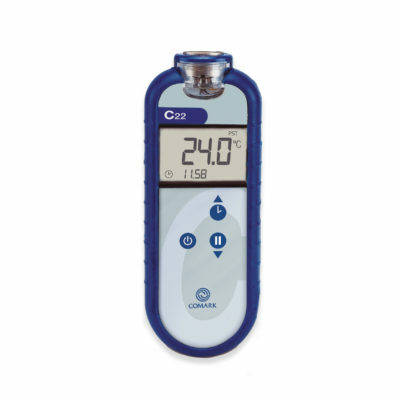 The C22C Food Thermometer has a 3 button design for simple operation and is powered by 2 AA batteries for convenience. Battery life is over 14,000 Hours*, which can equate to as much as 5 years use. 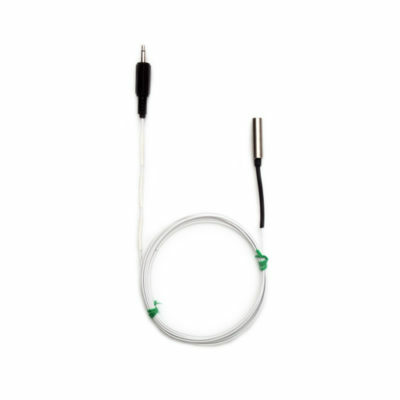 The RFAX300PLUS Diligence WiFi Air Probe Plus (High Accuracy ‘Plus’ Specification Thermistor) is a high accuracy damped air probe for use with the RF312GLYCOL and RF312DUALPLUS Diligence WiFi Temperature Data Loggers only. 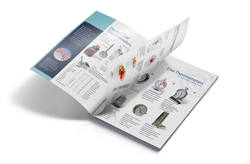 Pouch for Infrared Thermometers – specially designed for use with Infrared products such as the KM814 and KM814FS Infrared Thermometers. 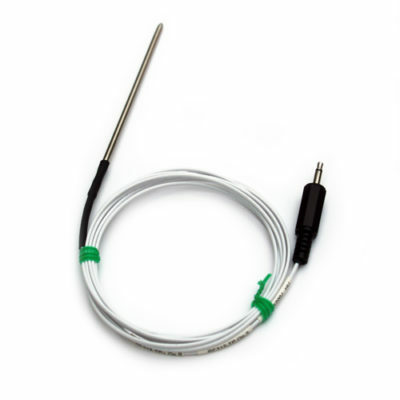 The RFPX200JPLUS Diligence WiFi Penetration Probe Plus is a (High Accuracy ‘Plus’ Specification Thermistor) Penetration Probe for use with the RF312GLYCOL and RF312DUALPLUS Diligence WiFi Temperature Data Loggers. 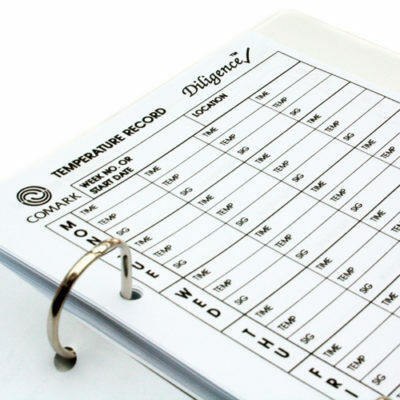 The TLOG1 Temperature Logbook is ideal for manually recording all your temperature checks in line with HACCP procedures and other quality control systems.